Burj Al-Luqluq Social Center Society celebrated on Tuesday, 09/05/2017 the closing ceremony of the Technical, Sport and Scout support project in Hebron, executed by Burj Al-Luqluq, funded by Mr. Munir Kalouti, under the supervision of the Welfare Association. 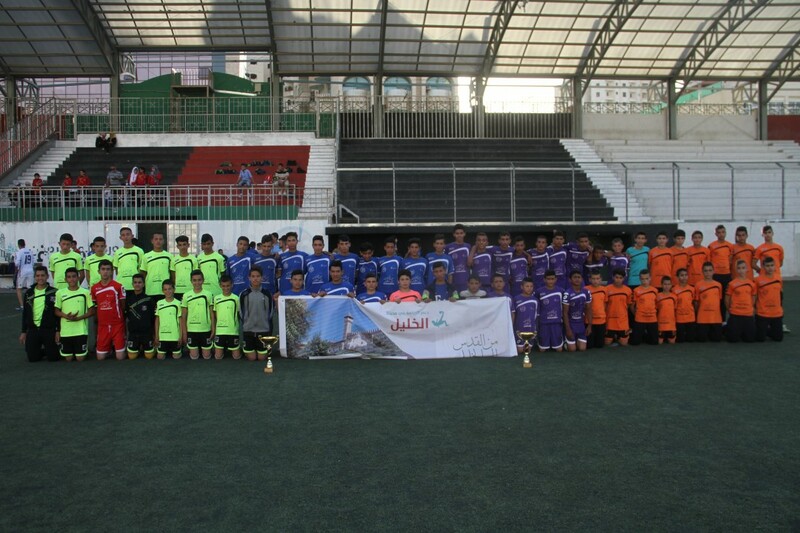 The prisoners’ tournament was organized with the participation of Tareq Bin Ziyad, Shabab Sourif, Shabab Shiyukh, Shabab Al-Karmel and Burj Al-Luqluq teams at Al-Hussein Stadium. At the end of the tournament the winning and the participating teams were honored as Tareq Bin Ziyad team came first while Shabab Al-Karmel came second.